As some of you may know, service and volunteerism are part of our family’s philosophy. 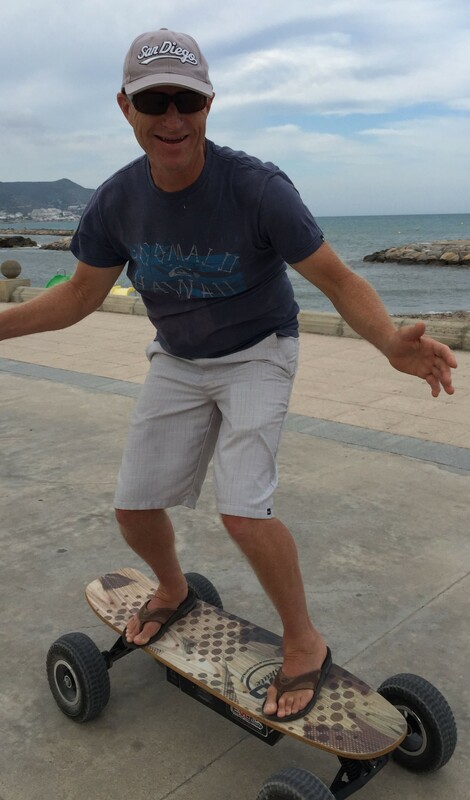 Blair, my wife and founder of SEA Homeschoolers, has previously written about this aspect of our family on her blog and here on SEA. In fact, as I’m writing this, she and our son Sean are in downtown San Diego helping newly naturalized citizens register to vote as they exit their final ceremony with their citizenship documents in hand. I was there with them last month, and it is awesome to see the excitement and enthusiasm on the faces of these new U.S. citizens. Many of them are escaping persecution or poverty in their native countries and are simply looking for an opportunity to create a better life for their children. Guatemala is one of the countries that has been a source of immigrants for these exact reasons. Currently there are around 1,000,000 people of Guatemalan origin living in the U.S. Many of the immigrants, both legal and illegal, were forced to seek refuge from a 36-year-long civil war that occurred in Guatemala between 1960 and 1996. This was a dark time in relatively recent Guatemalan history with unconscionable atrocities being committed by the government and other factions against its people. During that time the indigenous population was the hardest hit. Somewhere around 200,000 people were killed or “disappeared.” The indigenous Mayan population in Guatemala has been persecuted and marginalized ever since Spanish colonization began in the 1500’s. 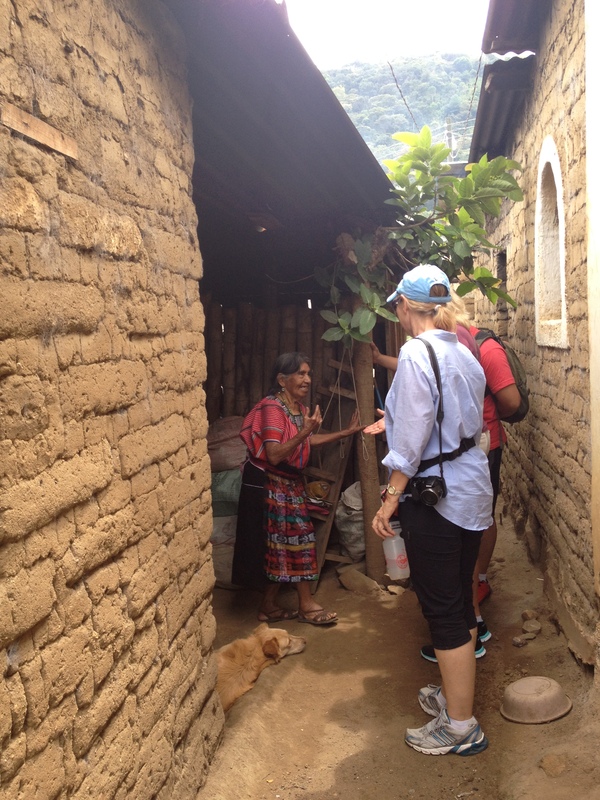 Their descendants still make up around 40% of the population and are some of the poorest of Guatemala’s citizens. 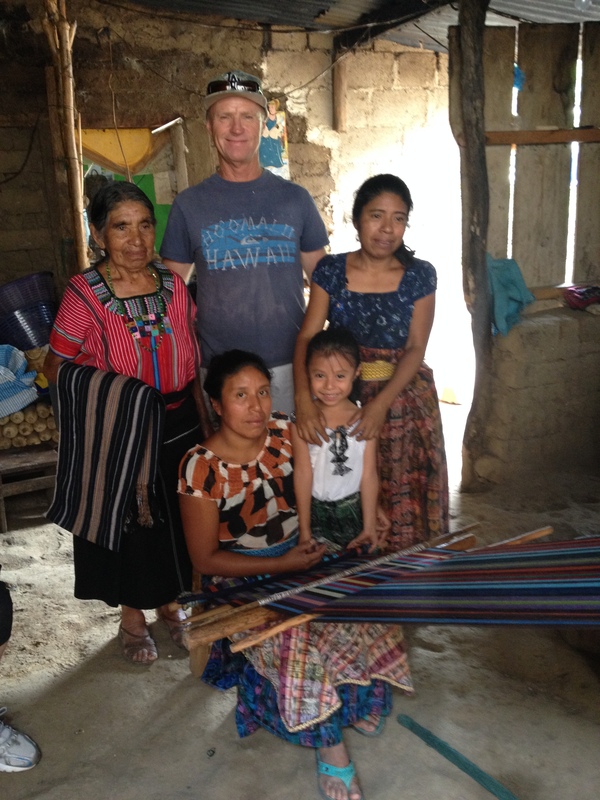 The purpose of my recent trip to Guatemala with Habitat for Humanity was to help improve living conditions for a few of these families. This was my second Global Village trip with Habitat and it was a bit different than the normal house building project most people associate with the organization. 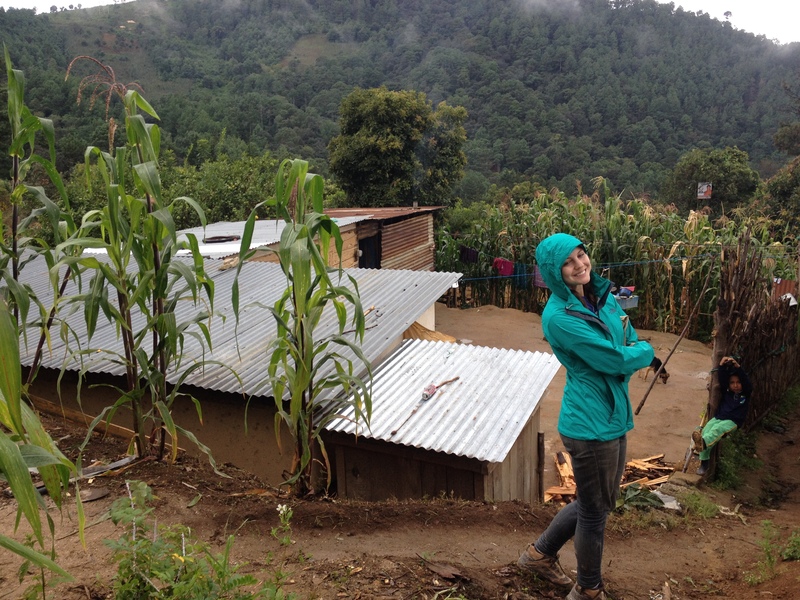 Instead we worked fitting three rural homes with Healthy Home kits (I’ll explain later). It also had an educational component, teaching volunteers about issues facing the poor, especially women, and some of these women’s efforts to improve their family’s situations. The Healthy Home Solution: Most rural homes we saw would be considered uninhabitable by our standards. If the family was lucky, they had a concrete floor in some rooms, but many of the floors were simply dirt. A family might have one electrical line for a light bulb but no indoor plumbing or sanitation. Traditionally, the women in these situations are forced to cook on crude stoves with wood they gather locally. There is minimal or no ventilation for the smoke to the outside. You can imagine how unhealthy this is for the women and children who spend many hours a day inside the home. You can actually see the carbon buildup on the ceilings and walls of these homes. Imagine what their lungs must look like after a few years of this. Respiratory diseases are a major problem in Guatemala because of this specific situation. 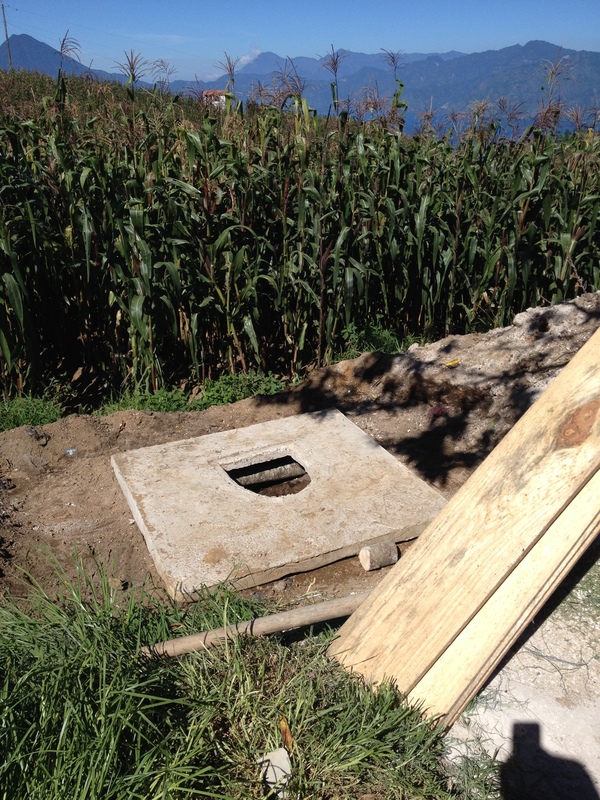 Since there is no indoor plumbing, families either use latrines, outhouses, or simply go out into the forest or field to go to the bathroom. Usually there is a precast concrete sink unit outside the home where the family washes dishes and gets water for cooking and drinking. The water comes from collected rainwater in a community water tank and is gravity fed to the individual homes. Some families are forced to collect water from nearby streams or springs if they are not connected to a water source. Regardless, there is no water treatment in these rural areas so water borne diseases are also quite common. Habitat has a solution to these problems. Called the Healthy Home Solution, it consists of a new more efficient stove that requires half the amount of wood for cooking and vents the smoke to the outside. 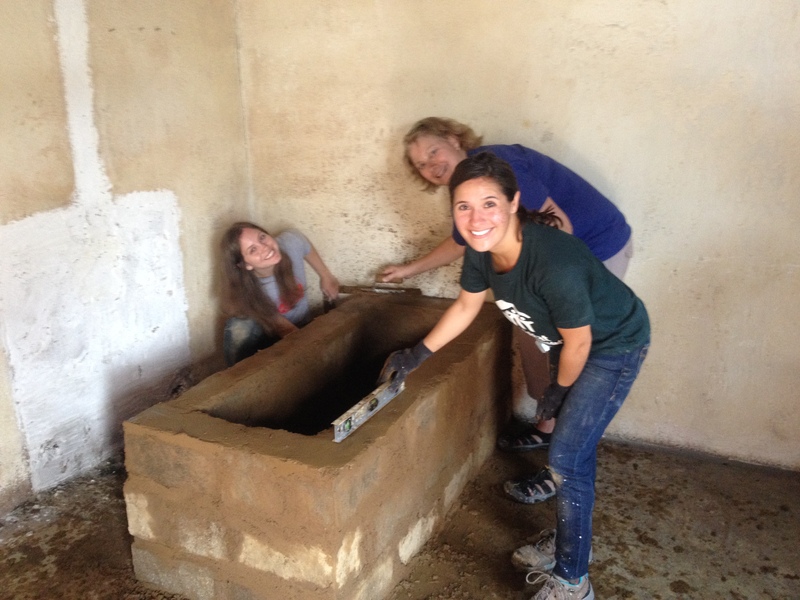 In addition, it includes a new properly built latrine and a water filter for drinking and water used in cooking. In the days we were on-site we built Healthy Home solutions for three families. Although the work was fairly strenuous and we only had hand tools, no power tools to work with, it was rewarding. You spend the day surrounded by and working alongside the family, and there is plenty of time to interact with them and play with the children. The families are so appreciative and thankful for our efforts you really get the feeling that you have improved their lives in a concrete way. 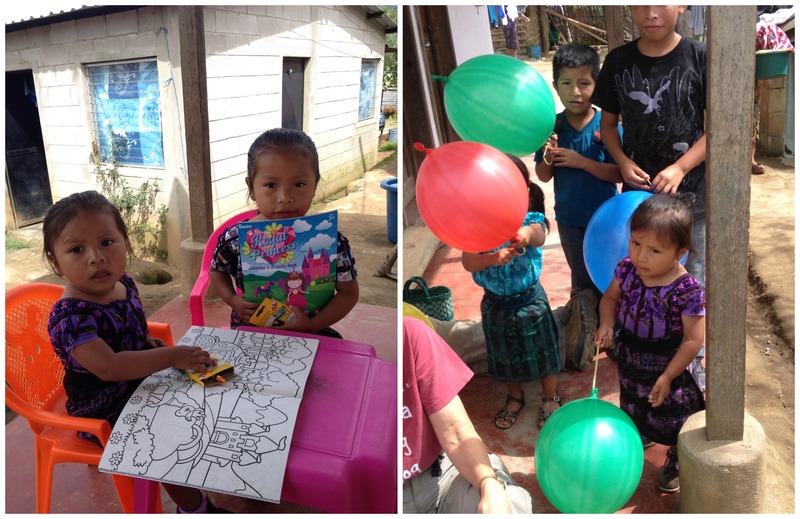 We brought a few things for the children at the work sites. 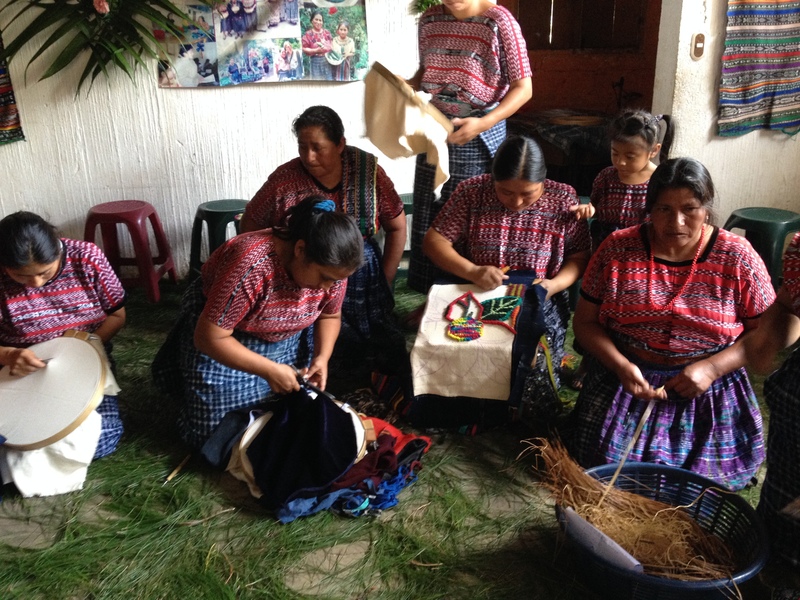 The Women: Guatemala is no different than many other developing countries in terms of women’s position in the society. Although the men in these rural areas work hard outside the home, mostly in agriculture, the women probably work even harder. 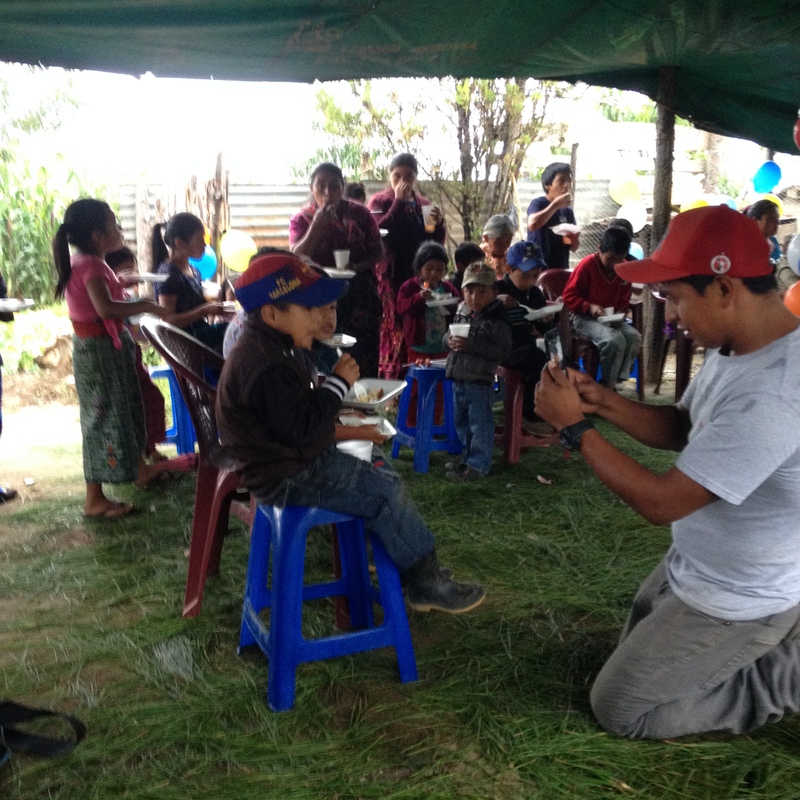 Cooking, washing, gathering wood, taking care of the children and also working in the field. 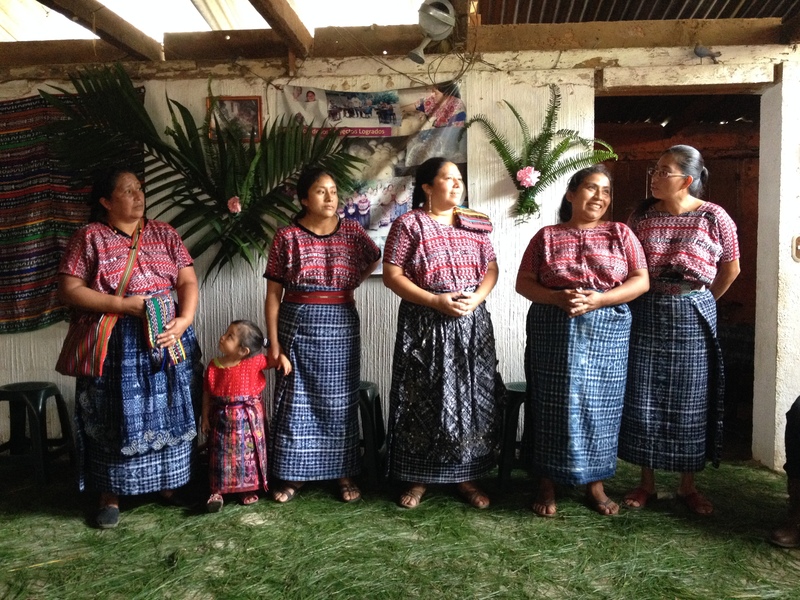 Guatemalan society is still very paternalistic and the “machismo” factor is always present. There are however, some indigenous women who are trying to change attitudes and improve their family’s lives. 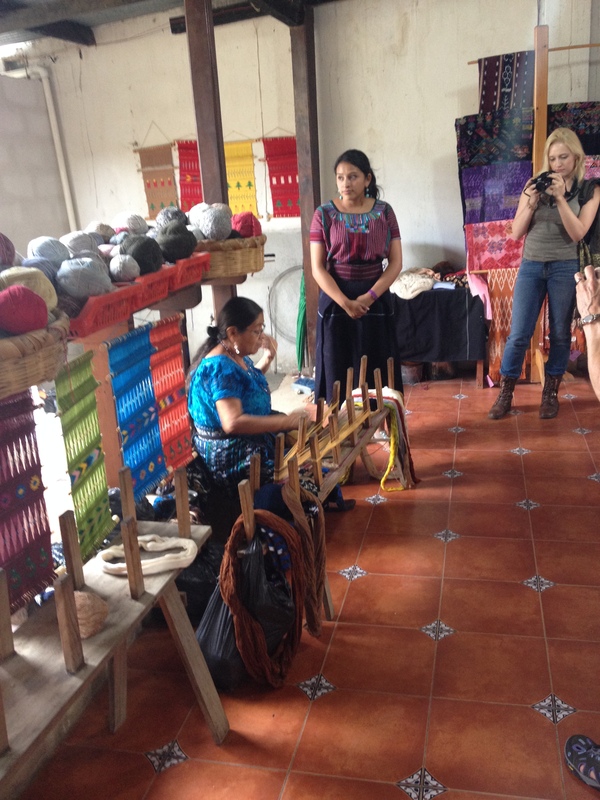 We met with women from two different cooperatives who have come together and pooled their resources and talents. They have created businesses that have, at least modestly, increased their family incomes. They explained how their husbands were against their efforts until they saw the money. Now the men are beginning to come around but there is still a lot of resistance overall because of the ingrained “machismo” culture. You can’t help but admire and respect these women for standing up to be heard. About Habitat for Humanity Guatemala: Like all international Habitat locations, there is a local affiliate in Guatemala. They provide assistance like transportation and do much of the groundwork in support of the projects. They choose the recipients and set the local rules for safety and other policies. 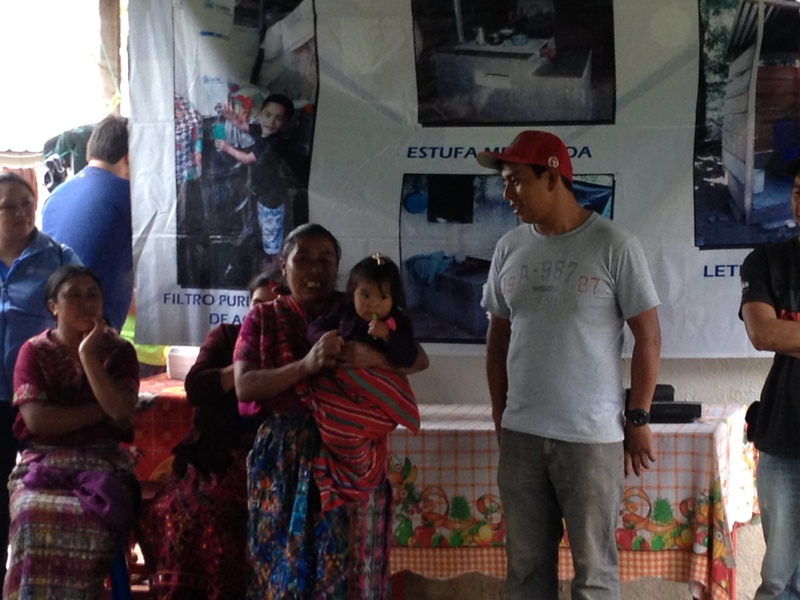 Habitat has provided nearly 70,000 housing solutions in Guatemala. These include both complete homes as well as Healthy Home solutions. In some special situations Habitat has built complete neighborhoods. 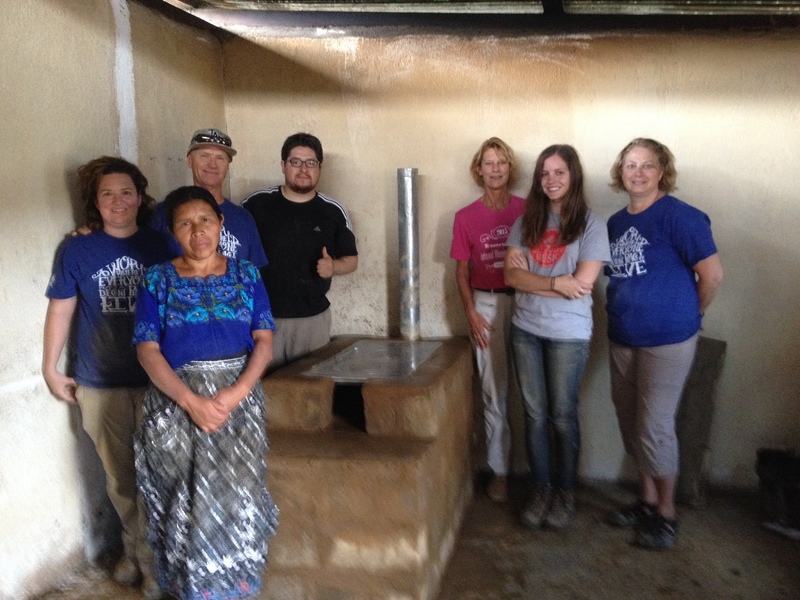 Their work in Guatemala has benefited more than 312,000 people, mostly children. Habitat’s work in Guatemala has reduced the country’s housing deficit by nearly 5%. 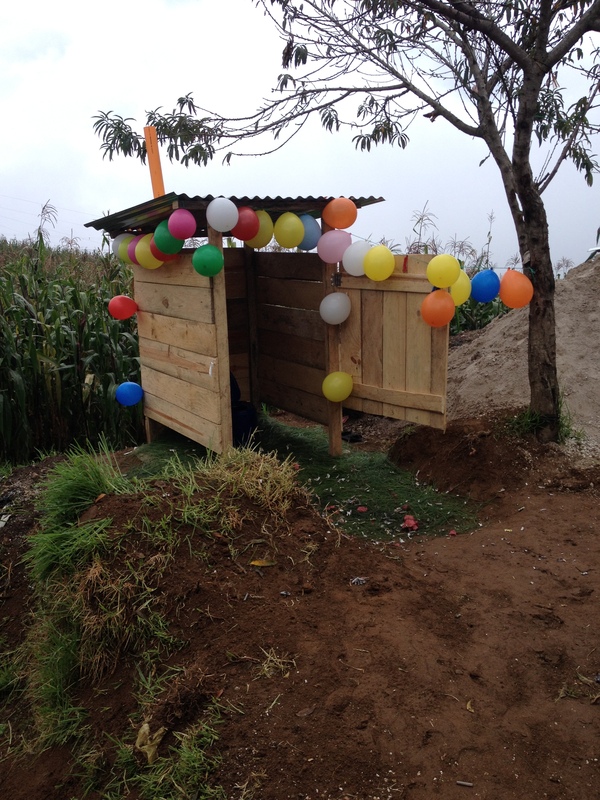 Habitat works in every department, what we might call a state or county, in Guatemala. Habitat calls itself a Christian organization, but there is no proselytizing. It is open to those of all faiths or no faith. Many of the people served are of faith so there may be an occasional prayer but that’s it. I have loved my experiences with Habitat for Humanity. Both trips, to Mexico and to Guatemala, provided an opportunity to experience a foreign country in a way no vacation ever could. You work with dedicated local affiliates who live there and help you to understand their culture. There is no holding back and you see the good, the bad, and the ugly. When you leave you come home with a real understanding of the place you visited and the knowledge that you made a positive difference in the life of another human being. At the same time you make new friends from all parts of the globe. When you get to know people while working and playing, you really do get to know them better. Jim Lee has been helping his wife, Blair, homeschool their 16 year old son for almost 10 years. He recently went back to college and got his Masters degree in International Relations. When he isn’t at home spending time with family and friends he is working to make the world a better place for others.